Observation - Grey Heron - UK and Ireland. Description: This Grey Heron is becoming less skittish as the ditches dry up and its hunting more restricted. 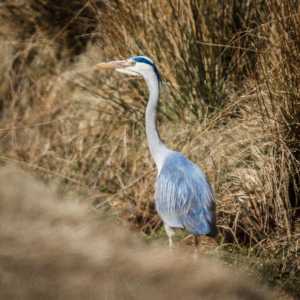 This Grey Heron is becoming less skittish as the ditches dry up and its hunting more restricted.